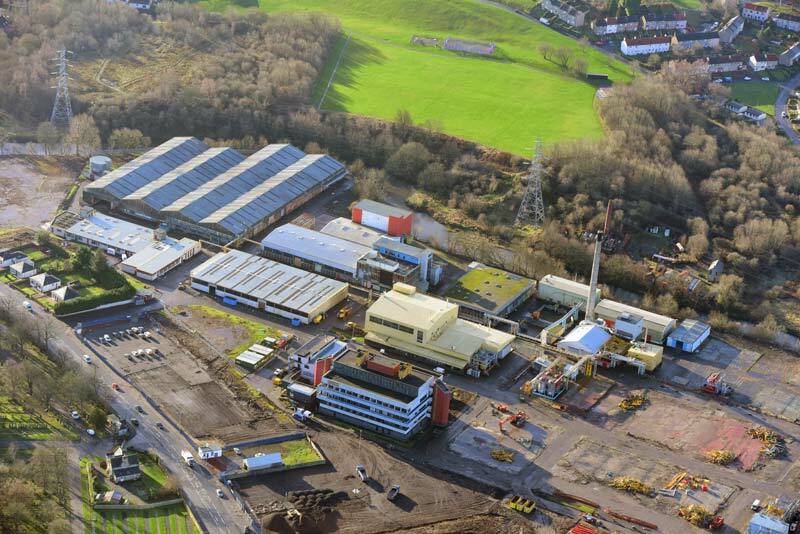 Central Demolition Ltd were awarded the contract for the demolition of the BASF works, Hawkhead, Paisley. The work was completed in December 2016. Firstly, the project required preparatory work before the demolition could commence. This included soft stripping the buildings and the removal of asbestos. We were also asked by the client to salvage certain plant items and equipment, including a large boiler plant, which we removed safely prior to the commencement of the demolition works. 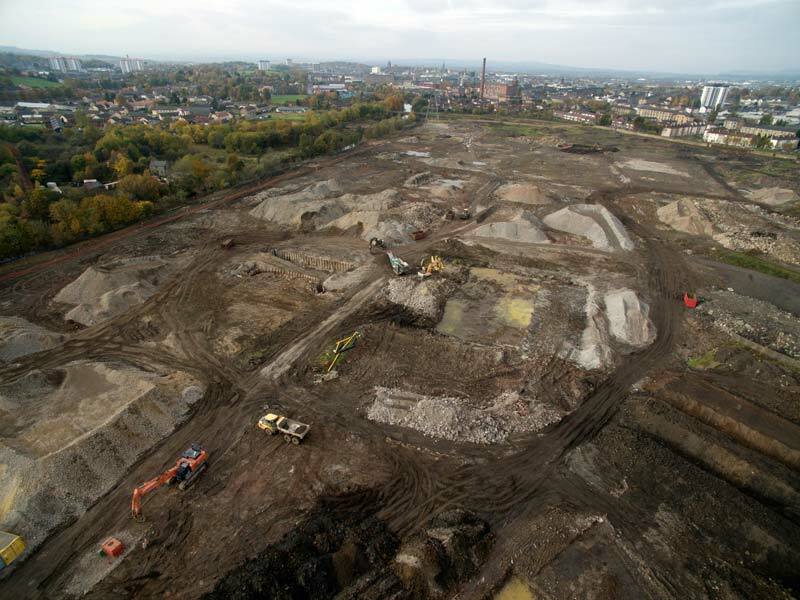 There were also live residential buildings that were located on the site boundaries, therefore residents had to be notified prior to works starting. The asbestos work that we undertook was carried out by our professional, licensed operatives. The amount of asbestos within the buildings was extensive and was a combination of licensed and non – licensed asbestos. The demolition works that we undertook at this site included, demolition of steel framed factory structures ranging 5.5m to 25m height to eaves level; 4 storey concrete framed office block structure; 4 storey concrete framed laboratory structure; single storey canteen and messing facility and demolition of extension external steel pipe gantries. We also removed the concrete ground slabs, foundations of demolished building and deep large scale basement areas, which went down to 6m depth. 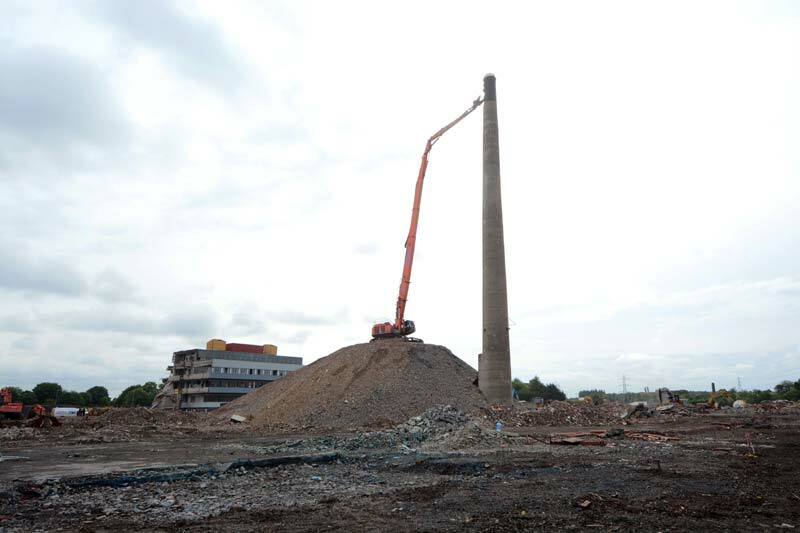 One of the most challenging aspects of this contract, was the demolition of the 50m chimney but we achieved this through high reach machine method. This method also involved the construction of a 10m high engineered access platform and ramp. Another challenging aspect was working round the high voltage mains cable across the site and also the live substation. The 3 aspects of this contract that caused significant risks were the amount of asbestos that was in the building, the 50m chimney structure and the deep basement structures. However, these were all managed effectively. Central Demolition Ltd strive to have at least a 92% recycle rate on every demolition contract and this was no exception. Aside from the plant materials being salvaged. All suitable brick, block and concrete was recycled into reuse able material, suitable for resale and our recycling rate for this project finished at 96%.